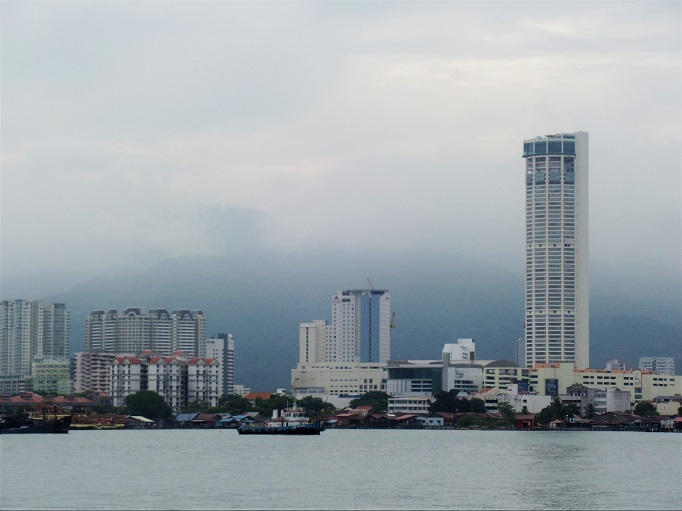 The unique charm of Penang's relaxed lifestyle, vibrant local food scene, multiculturalism, architecture, history and nature make it a popular weekend destination for visitors from Kuala Lumpur. The added presence of a UNESCO World Cultural Heritage Site comprising of heritage buildings and the cultural heritage of the communities also attract travellers from Singapore, Hong Kong, China, Taiwan, Japan, Korea, Australia and the UK. 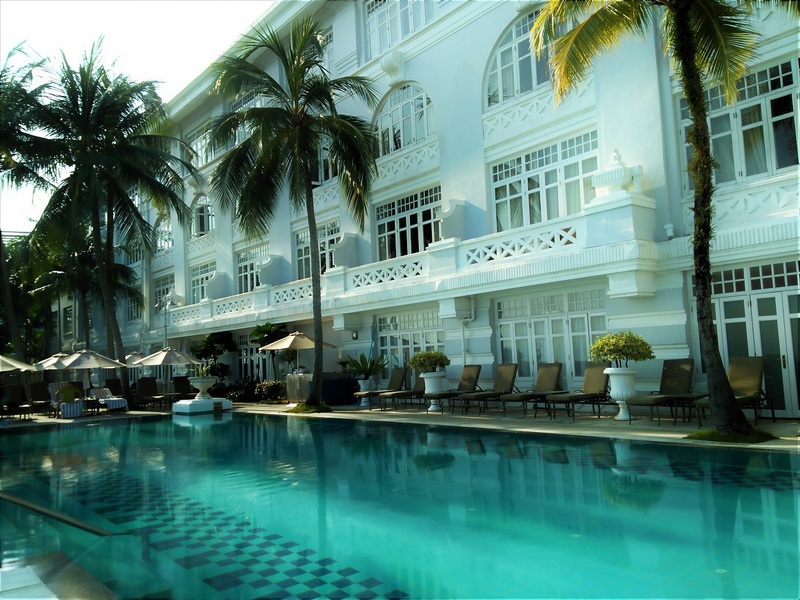 The island has experienced a burgeoning of boutique hotels that play on the George Town heritage theme. However, when it comes to combining modern comforts and colonial charm, there's still nothing like the Eastern & Oriental Hotel. Also commonly referred to as E&O Hotel, it enjoys a unique and irreplaceable place in the history of Penang. The all-suite property has been lovingly restored and enhanced by owners The E&O Group, a Bursa Malaysia listed premier lifestyle property developer. 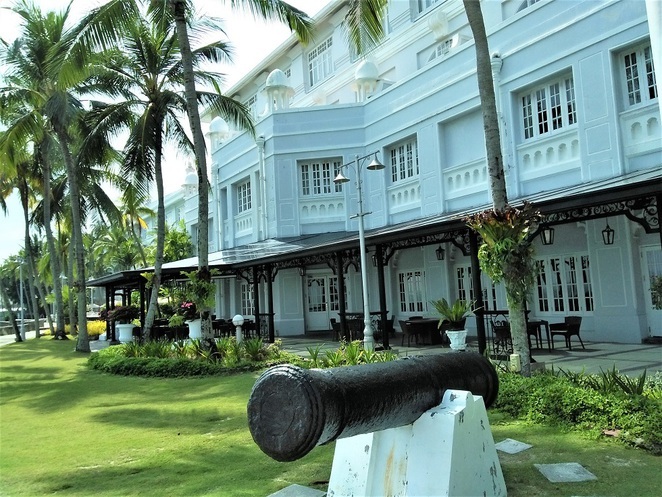 The original heritage wing of the property dating back to 1885 retains 100 elegant and expansive suites while the 15-storey colonial-styled Victory Annexe opened in 2013 adds 132 classically appointed sea-fronting suites. The hotel also boasts an executive lounge, two swimming pools, casual to fine-dining restaurants, retail outlets, a gallery and a spa. 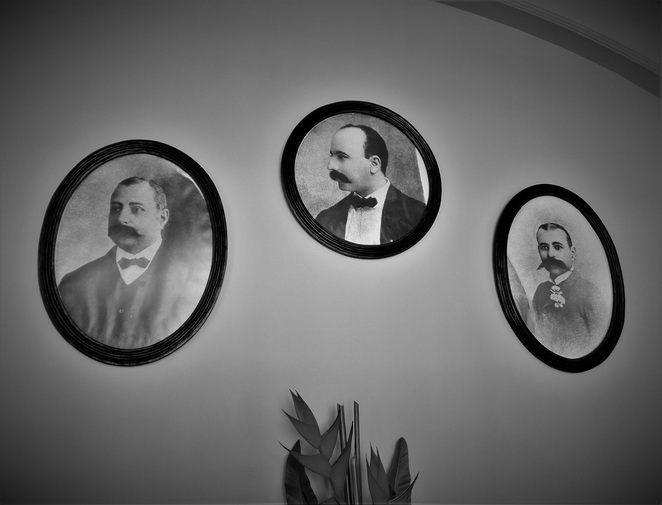 E&O Hotel's blend of historical opulence, colonial grandeur and modern luxuries are an impossible act to follow. Here are the top reasons to experience the romantic past and charm of Penang with this grand dame. 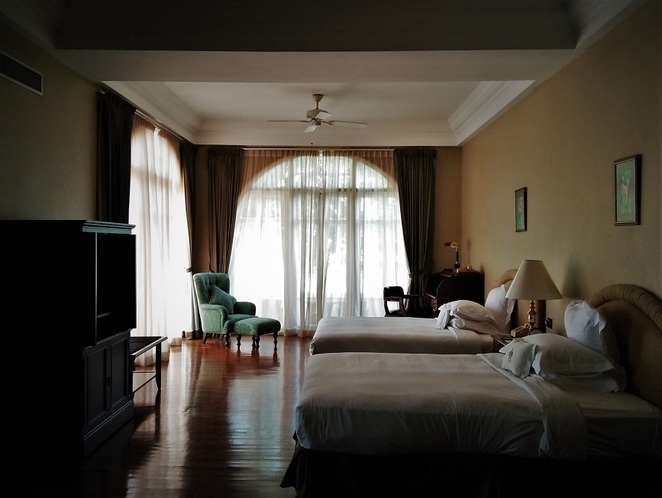 The threads of E&O Hotel are weaved into the history of Penang. 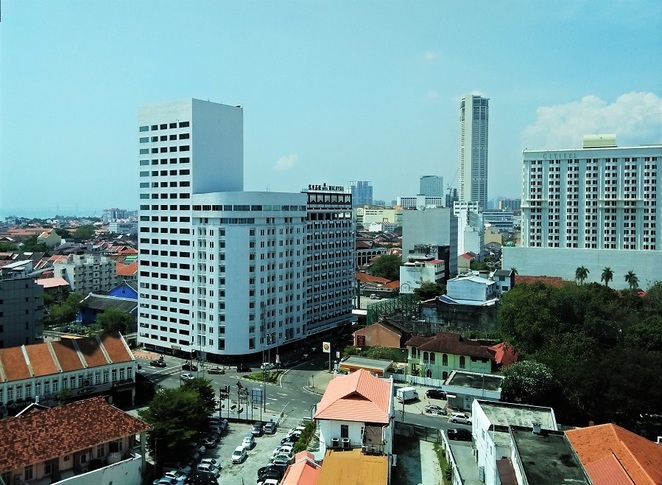 Established in 1885, the property has added colour to the Straits Settlement and stood witness to two World Wars, the fall of the British Empire and the birth of Malaysia. It is also home to Penang's oldest "Java" tree, planted before 1885. The hotel welcomed the arrival of steamships bearing rich globetrotters traveling from London and through Singapore, head of states and celebrities of the literary and entertainment world including Douglas Fairbanks, Mary Pickford, Rudyard Kipling and Hermann Hesse. 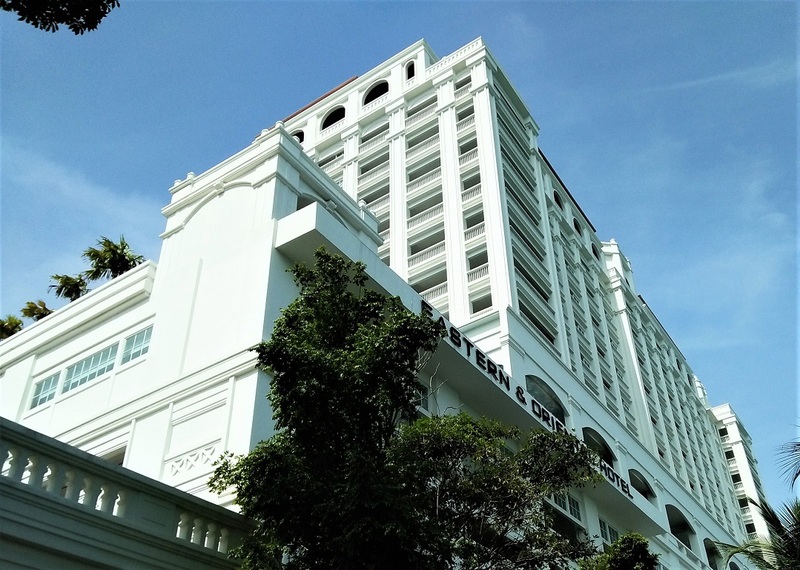 The hotel continued to be a social and cultural centre for Penang's high society and international visitors beyond the 19th and 20th century. Today, an E&O Gallery creates a narrative that weaves Penang's rich history together with the hotel's own experiences stretching back more than 130 years, to its founding days by the Sarkies Brothers. 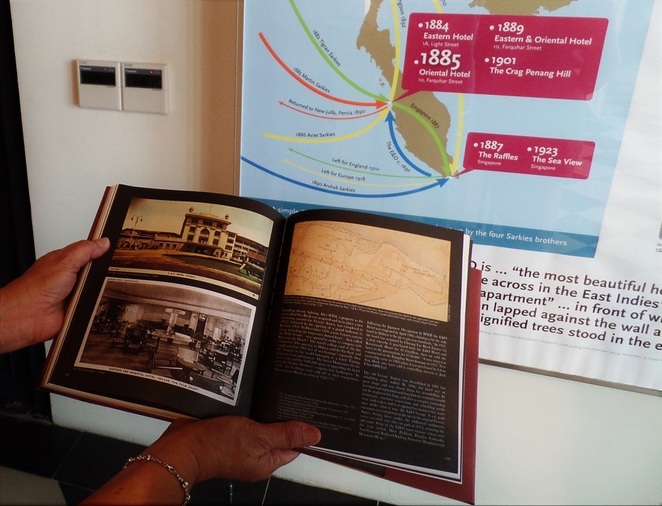 Located in the Victory Annexe retail arcade, this unique gallery relates a story of Penang's social and cultural milestones using objects, artefacts and personal anecdotes from the hotel and its patrons. 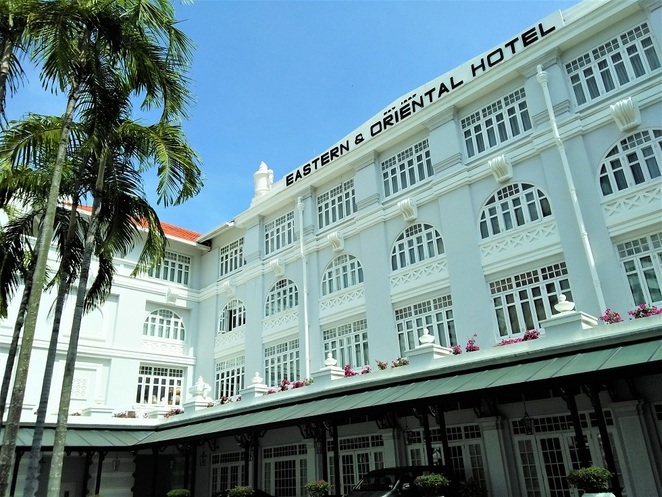 A visit to the Eastern & Oriental Hotel is an opportunity to experience a piece of Penang's history. 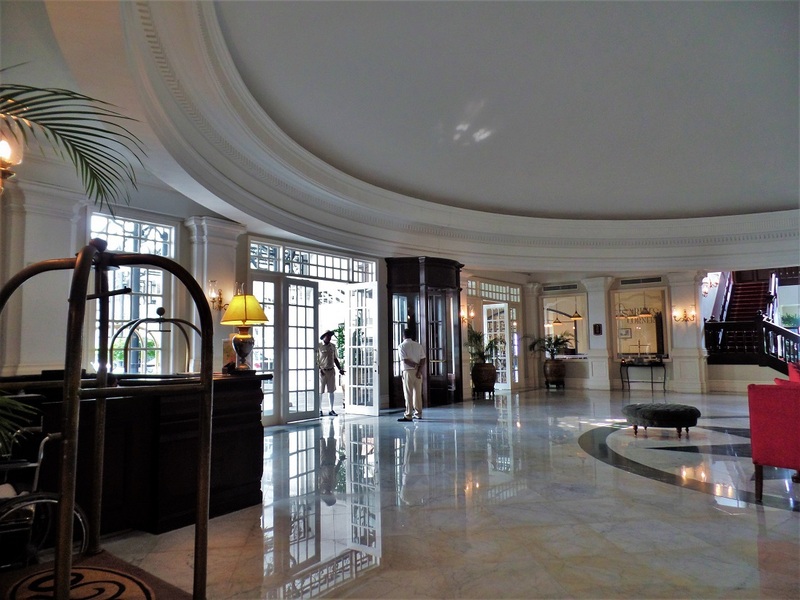 Penang may be known for it's old British colonial civic buildings including the City Hall, Penang Museum, Penang Supreme Court House and Cathedral of the Assumption around the Esplanade but Eastern & Oriental Hotel is the only living example of a British colonial-style hotel from 1885. Its neoclassical facades, domes and minarets are unmistakable. Much of the Heritage Wing's interior was restored beautifully, including the stately grand ballroom with viewing balconies and polished timber floors that illustrate the era and romance of debutante's balls. It is impossible to visit Penang without calling to mind the luxurious comforts of the Eastern & Oriental Hotel. Whether you're staying in the Heritage Wing or the Victory Annexe, you can look forward modern facilities and conveniences equal to any luxury hotel around the world. The attentive service ensures that guests are looked after throughout their stay. All 132 suites in the newer Victory Annexe, named after the British victory in World War I, are seafronting and complete with present day comforts and the added luxury of a private balcony, twin vanities and rainforest shower in the bathroom and private access to complimentary coffee and tea throughout the day and evening cocktails with canapés at the Planters Lounge. The 100 suites of the original Heritage Wing offer an elegant and expansive colonial space that evoke a sense of the early 1900s. The breezy private balconies, ceiling fans and long baths are coupled with contemporary amenities and topped with round-the-clock butler service. While many resorts dot the shoreline of Penang's popular Batu Ferringhi beach, the Eastern & Oriental Hotel is the only accommodations with prime sea frontage overlooking the Andaman Sea in the heart of the George Town UNESCO World Heritage Site. Its original 902 foot seafront was considered the longest of any hotel in the world in the 19th Century. The same panoramic water views can be enjoyed by visitors today. Guests in the Heritage Wing can reminisce the scenery seen by patrons of yesteryears. The Victory Annexe provides a higher perspective with balcony and pool views looking out and down to the Andaman Sea. 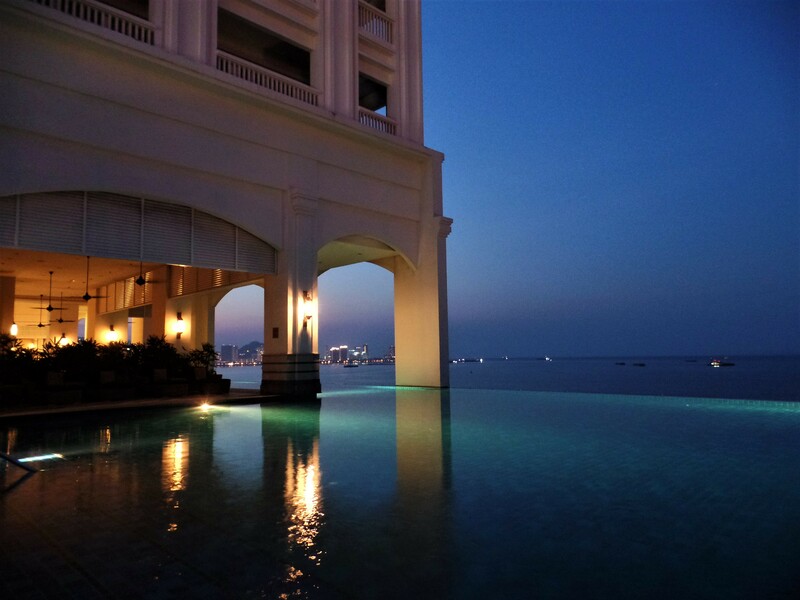 It may not be the Rock Bar in Bali but the level 6 infinity pool offers serene views of surrounds at dusk and amazing sunrises. Penang is famous as a traditional hawker-style food destination, offering delicious Chinese, Indian and Malay treats from coffeeshops and stalls dotting the laneways of George Town. Even the most delicious local fare when repetitive can bore the palate. 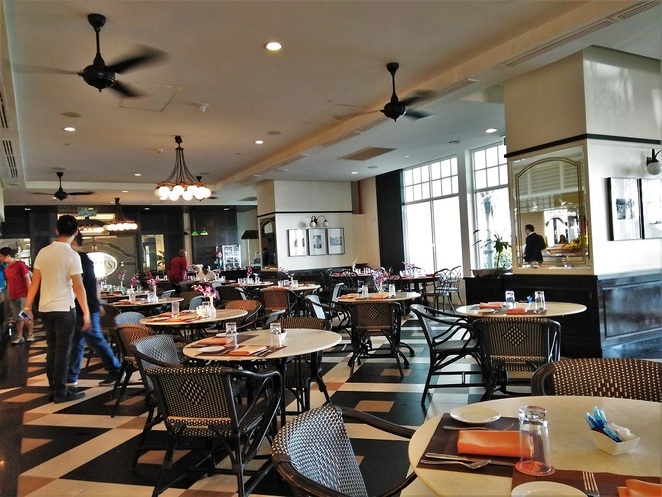 Guests can seek out different flavour profiles at the Eastern & Oriental Hotel including French-styled at 1885, European breads and pastries at Sarkies Corner, and pub fare at Farquhar's Bar. 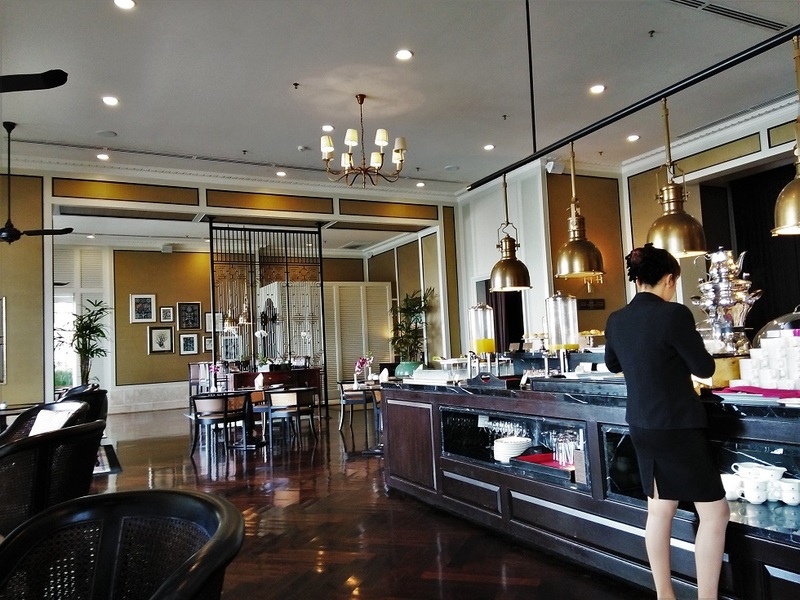 The most popular dining venue that draws even the locals in droves is Sarkies. It enjoys a celebrated reputation for serving one of most extensive breakfast, lunch and dinner smorgasbords in Penang. 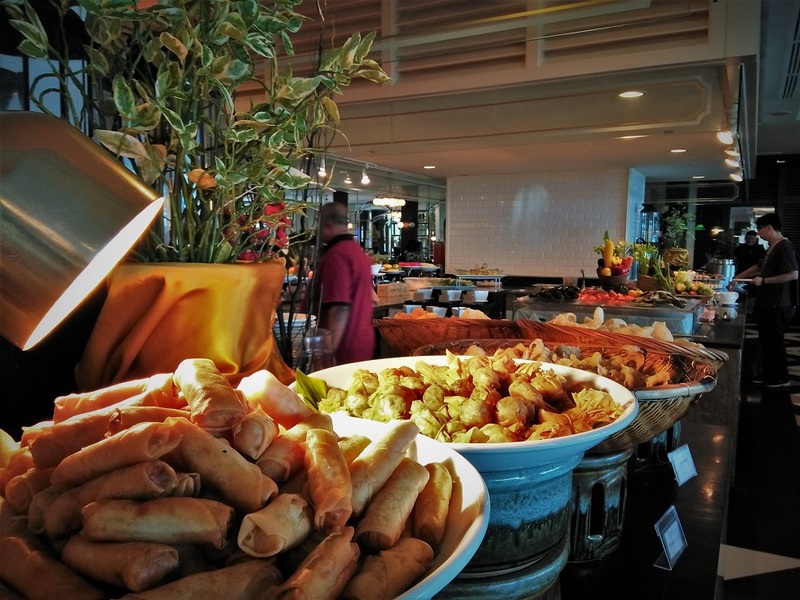 Over 10 hot and cold food sections offer a wide range of seafood, European dishes, Penang's local delicacies and international desserts. The hotel's location in the heart of the George Town UNESCO World Heritage Site offers easy access to all the top attractions, well-preserved heritage buildings, shopping and food. 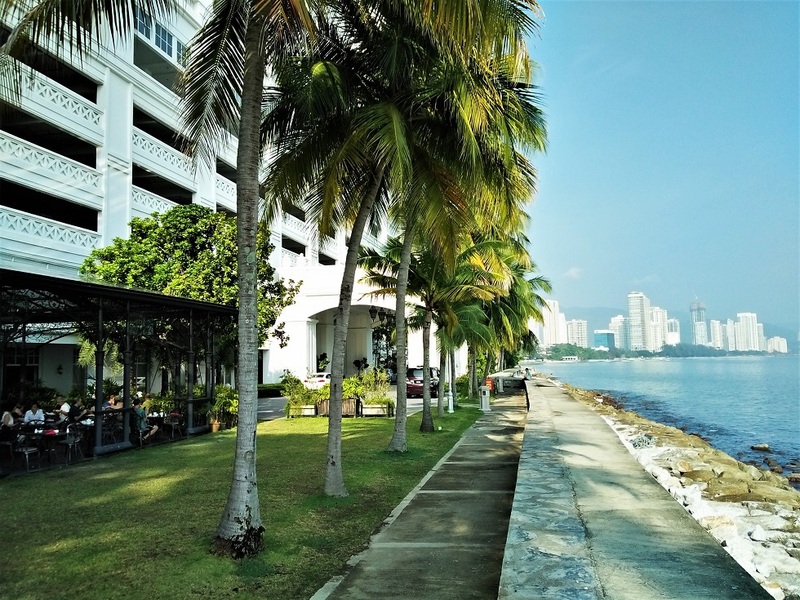 A short walk from the hotel and guests will be visiting the Blue Mansion and Fort Cornwallis, exploring Chinatown and savouring local hawker fare along Love Lane. 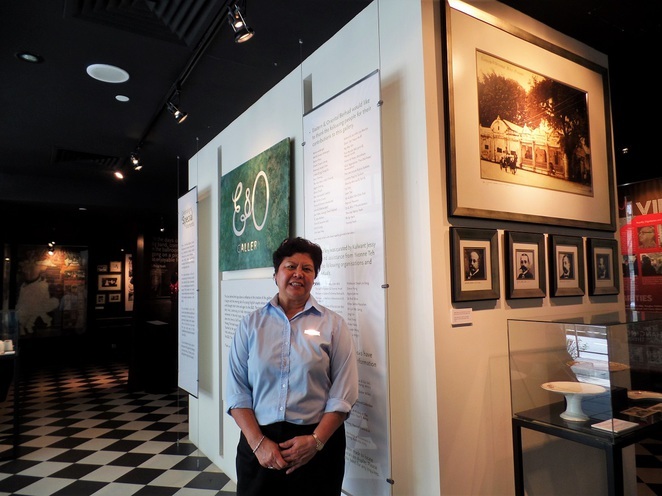 Thank you Lionel for featuring E & O Hotel Penang and especially the Social Historical Gallery!